Navitar offers superior quality, high resolution electronic imaging optics for a variety of critical machine vision applications. Their line-up includes C-mount, F-mount, large format and telecentric optical systems. Whether you require a zoom lens or a fixed magnification system, Navitar's rugged, compact designs will stand-up to the most demanding applications and image formats. 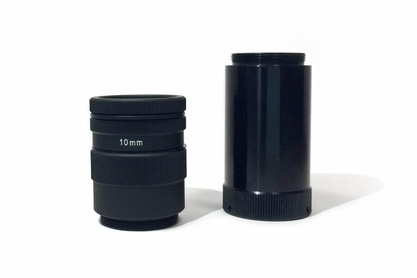 Extension tubes allow you to turn standard fixed focal length lenses into macro lenses. An extension tube kit is available which includes six extender tubes: 0.5 mm, 1 mm, 5 mm, 10 mm, and 22 mm for extension from 0.5 mm to 38.5 mm. The tube(s) mount between the camera and the lens, making it possible for you to focus a C-mount lens at a much closer distance than normal. 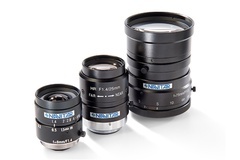 Navitar's new line of MagniStar high resolution bi-telecentric lenses offer the ideal optical solution for imaging and measurement applications where extreme accuracy is required. Magnifications range from 0.05X to 2X. R.R.Floody Company is a Navitar distributor in Northern Illinois, Iowa and Southern Wisconsin. We offer technical support to help our customers solve their applications.